Two people were arrested Tuesday night after leading a sheriff's deputy on a vehicle, then foot pursuit. A Hamilton County Sheriff’s deputy witnessed a vehicle driving erratically in Soddy Daisy about 10 p.m. The deputy attempted to stop the vehicle at which time the driver fled and a pursuit ensued. The deputy pursued the vehicle until it stopped on Clay Hill Drive at which time both the driver and passenger fled on foot. The deputy pursued the driver and passenger and after a short foot pursuit apprehended both of them on scene. 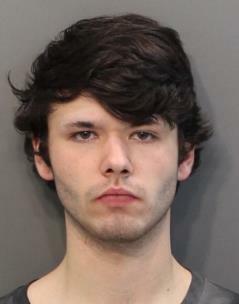 Zachary Taylor, 20, the driver, was charged with felony evading arrest, felony reckless endangerment, reckless driving, simple possession of controlled substance, possession of drug paraphernalia, and light-law violation. 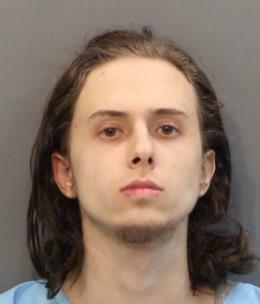 Michael Wortman, 20, the passenger, was charged with felony evading arrest, simple possession of controlled substance, and possession of drug paraphernalia.